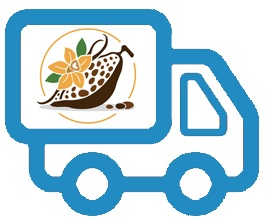 Gelifying agent for sweet and savory preparations. 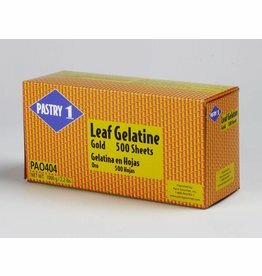 Generally, 12 to 15 gelatin sheets will gelify 1 liter of preparation. Derived from pig skins. 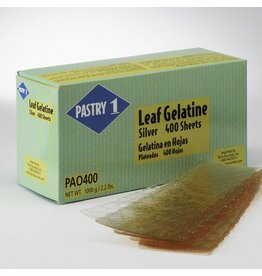 Soak gelatine sheets in cold water until softened, about 8 to 10 minutes. Drain, and warm to melt. Carefully incorporate melted gelatin into preparations. 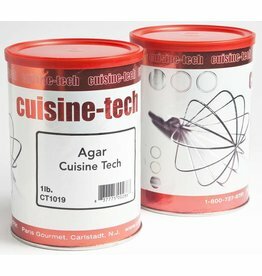 CT1019 Forms higher strength gels than gelatine. Used in jelly candies, marshmallow to give desired structural effects and stabilizes meringue mixtures. 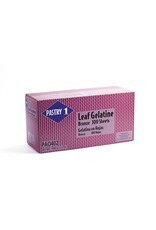 PA0400 Gelifying agent for sweet and savory preparations. 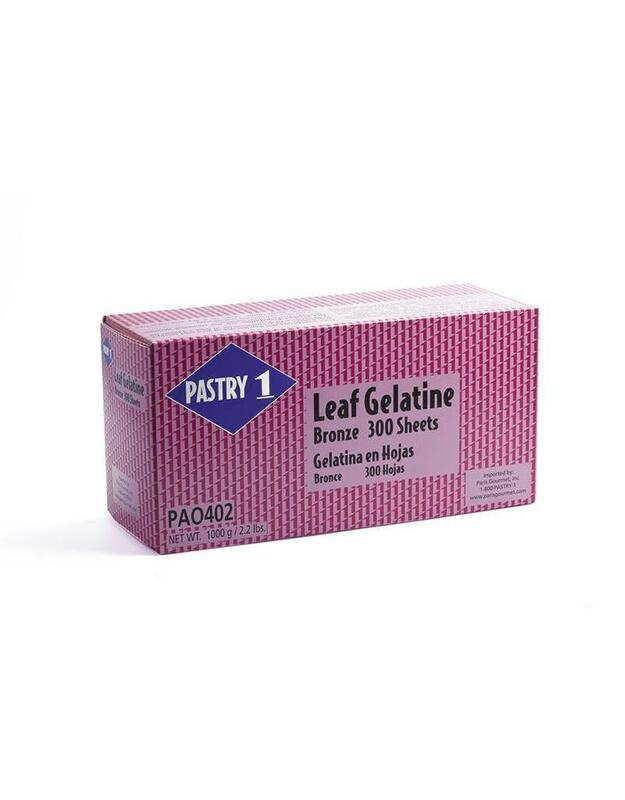 PA0404 Gelifying agent for sweet and savory preparations. 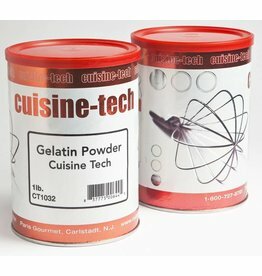 CT1032 Powdered gelatin derived from pork skin. PA5326 Natural stabilizer for hot process pastry cream. 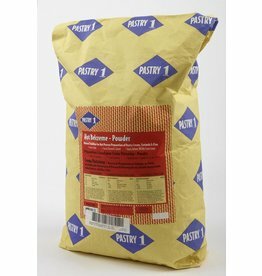 PA5332-S Powdered mix to prepare panna cotta.